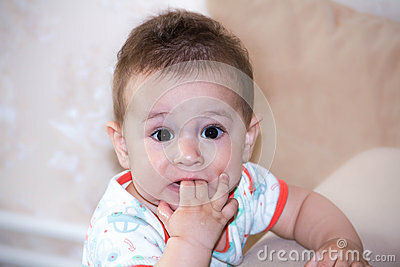 Baby boy plays with fingers in mouth and happy facial expression. Portrait of a crawling baby smiling. Teething infant playing. Newborn child at home. child scratching his teeth.